"H.N. 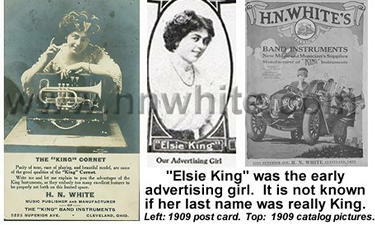 White - King Musical Instrument Company"
The development of a serial number list has been very difficult because of the lack of official records. Mr. H. N. White kept very detailed records but when the company was sold to the Seeburg Corporation all official records were destroyed. When looking up the age of your instrument, complete the following steps: (1.) Find your instruments catalog page and year that the catalog was made. Pay special attention to the small details on your instrument because most artists drawings account for unique changes and features. (2.) Compare your findings to the serial number list. Please keep in mind that most catalogs were dated on the back and should be trusted more than the serial number list. Early instruments will have a "lion head" by the serial numbers and are engraved "The King". In 1918 the company was incorporated and "Co" was added to the engraving of all instruments, before 1918 the engraving read simply as "H. N. White." 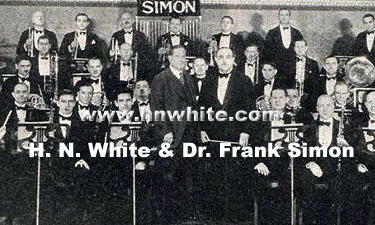 In 1926-1928 H. N. White introduced Sterling Silver bells to his instruments. In 1948-1950 "Silver Tone" engraving was changed to read "Silversonic". After 1966, all instruments were manufactured in Eastlake and engraved with "King Musical Instruments." 1/01/2008 We have reevaluated the serial number list to reflect new information. The number of instruments produced in the early years 1893-1905, has been reduced. The serial number lists are NOT 100% accurate. Henderson N. White was born in Romeo, Michigan, on July 16, 1873. As a young child Henderson was captivated by how things work and making improvements. He made his first musical instrument at age thirteen, a Cuban cigar box violin which is still around today. Starting in the Detroit shop of O. F. Berdan, Henderson N. White dreamed a dream of truer, finer band instruments. His repair work and daily contact with musicians taught him the weaknesses of the instruments then used. And his musician's instinct could not be content with their imperfections. Setting himself to the task of making that dream come true, Mr. White soon gained more that a local reputation. Learning always from band masters who visited that little shop in Detroit; studying in every spare moment; and experimenting always; it wasn't long before other cities heard about him. and ran a very effective repair shop. The shop was located on 13 woodland Ave and was very small. In 1893 Mr. White became sole owner of the business and then the realization of the dream was close at hand. 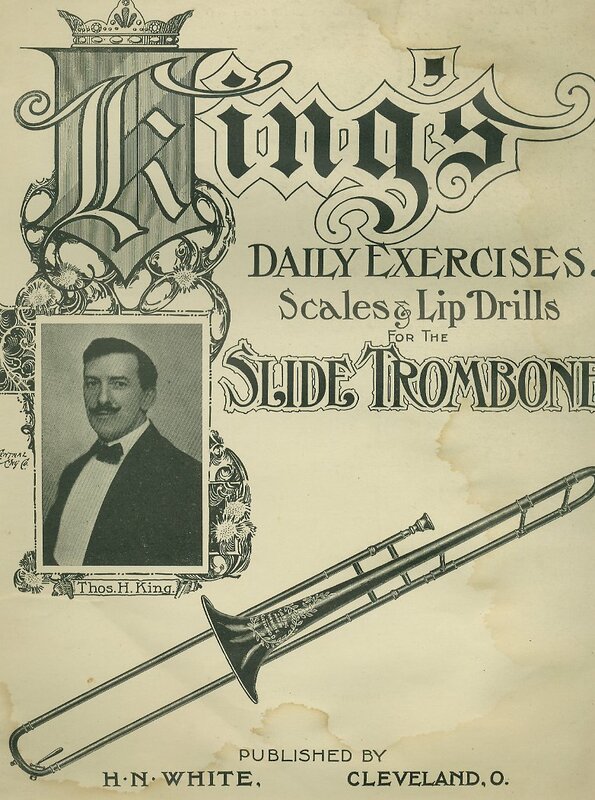 For in 1894 the first "King" trombone came from Mr. White's tiny workshop. But it wasn't "just another trombone." Building into it all that he had learned, blending knowledge with the love of accomplishment, that first trombone was a revelation to the musical world. And with help from Mr. Thomas King, a local trombone player who helped Mr. White perfect his invention. What developed was radically different from the then prevailing models in bell, bore and mouthpipe, the "King" Trombone was acclaimed by band men everywhere. 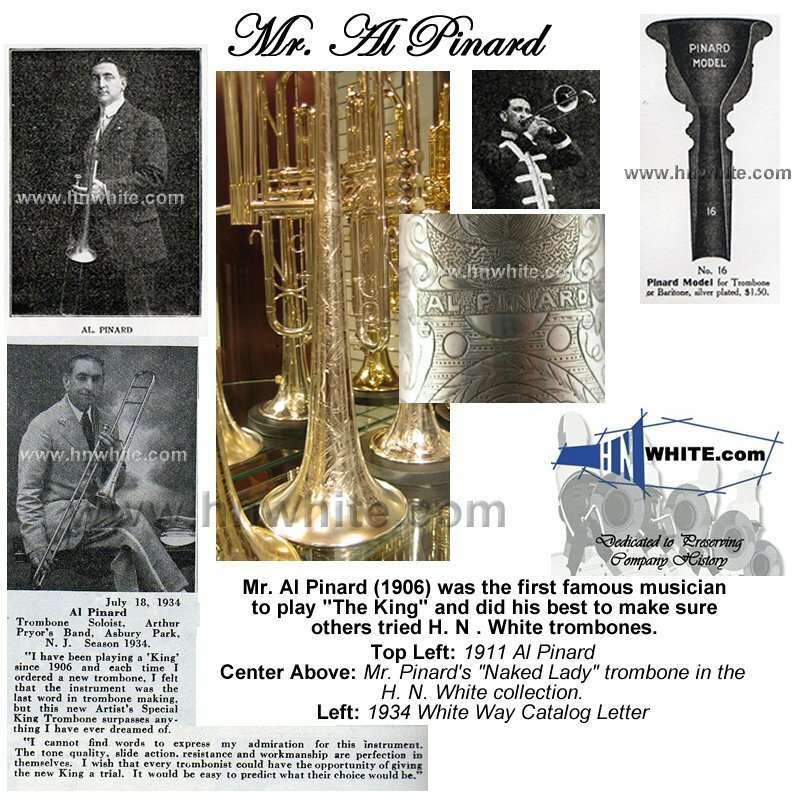 The first famous musician to play this new trombone was Al Pinard, who did his best to get others to try a "The King". From 1894 to 1908 each trombone slide was actually made by H. N. White. Band Players loved the King trombone because the slide was finer and smoother and lighter in action than any other. With this success Mr. white soon ran out of space, and moved the operation to 1870 East 9th Street, in the Erie Building in 1897. 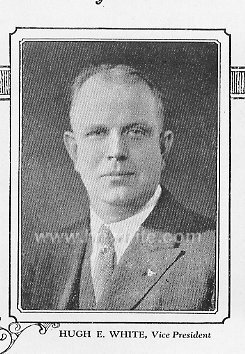 Mr. Hugh E. White, brother of H. N. White came to the company in 1903 to organize a credit department for the efficient handling of accounts, and later moved into the Vice President's position (leaving in 1940’s). The H. N. White Company was one of the first to extensively advertise and offer credit purchase plans. Then in 1904 F. A. Reynolds became Superintendent of the factory floor. 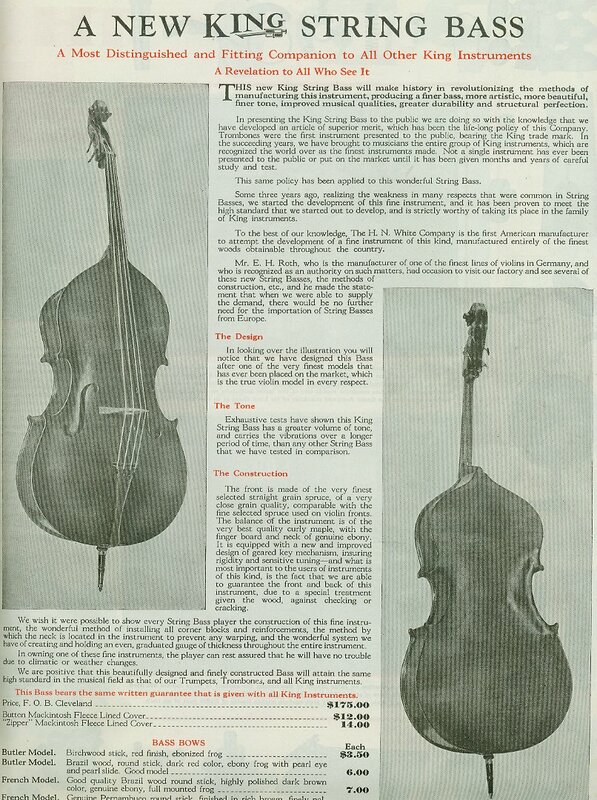 Mr. White's goals for his company were to constantly strive to build better instruments with the highest quality, and build each instrument acoustically correct. Starting in 1909 Mr. White made the "Department of Acoustical Research" and purchased (what is thought of as) the worlds largest set of tuning bells. Every instrument in production would spend time being developed, and looking for the smallest of improvements. Mr. White never started production on any instrument unless the new design was a vast improvement in both tone and quality. Also, 1909 Mr. White moved from the little workshop to 5225 superior Avenue in Cleveland, Ohio with 38,000 square feet of new work space. Once settled down, Mr. White started holding lunch time concerts two or three times a week to fine tune his craftsmen and instruments. Some time in 1908 King began importing Evette & Schaeffer saxophones and selling them as a less expensive alternative to American made saxes. Then in 1910 Carl Fisher Instruments became sole distributor of Evette & Schaeffer saxophones and Mr. White was forced to look elsewhere. Mr. White chose to import V. Kohlert saxophones while he built up the King facilities to enter into his own production of saxophones. 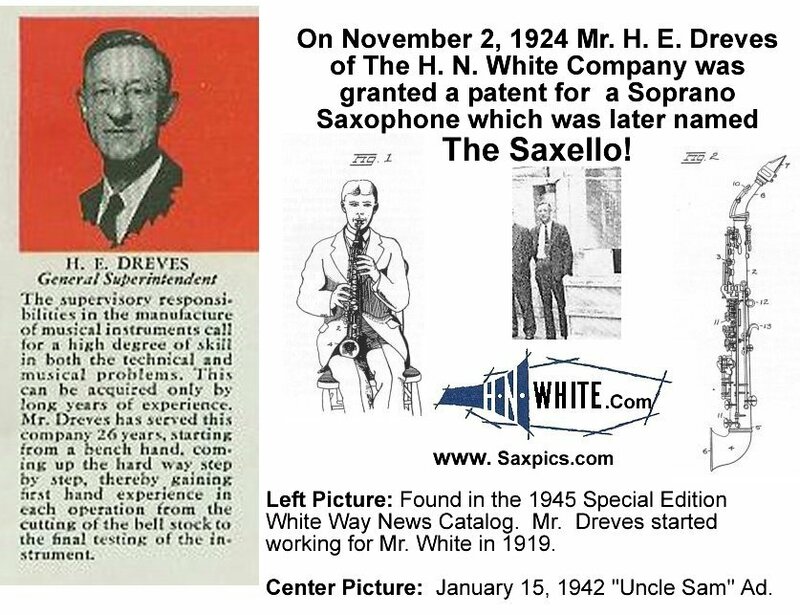 Finely around 1916 Mr. White began producing his own saxophones and by 1925 he introduced a new series of horns eight (C soprano, straight and curved Bb sopranos, Bb Saxello, Eb alto, C melody, Bb tenor and Eb baritone) horns made in Cleveland. 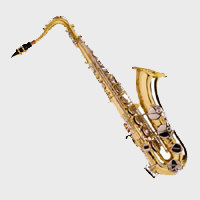 From 1917 to 1918 the entire production of saxophones was made for the government during World War I. Saxophones produced during the War are engraved with U. S. or some other type of engraving which tells which branch of the military it went to. (U. S. N. =Navy, U. S. M. C.=U. S. Army Quartermaster Corps) These saxophones featured many new improvements by King associate Mr. Henry Dreves. The most interesting of these improvements was the introduction of the King "Saxello" in the early 1920's. 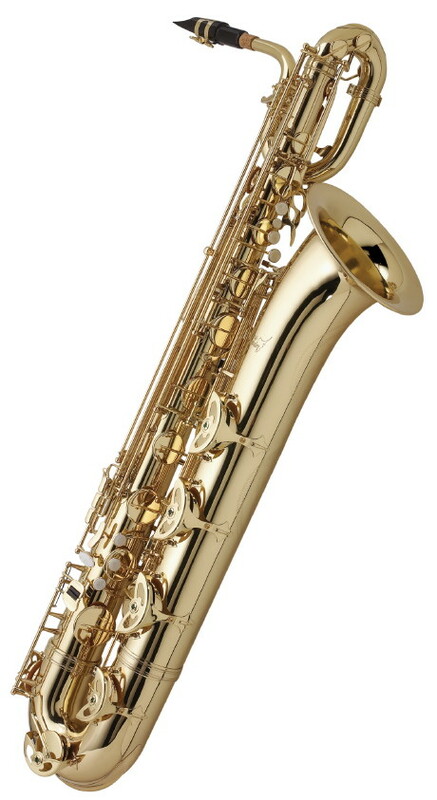 The Saxello was a curved neck and a bell tipped at a right angle on a straight soprano. It was in 1917 that a separate small building was erected beside the main plant for development of a line of woodwind instruments. By the 1920's King woodwinds, along with King brasses and horns, took their places in the finest orchestras. During this time frame the King work force grew to over two hundred men. Mr. White never "hired" workers, they had to be skilled artist-craftsmen who had a love for fine work. This allowed Mr. White to offer almost endless list of options (six finishes) ranging simple highly polished brass to artist special gold hand burnished. King also made it own cases for each instrument it manufactured and for other producers. Some time during the middle to late 20's Mr. White became the first instrument maker to introduce sterling silver bells on King instruments. Mr. White thought that the silver bells of trombones offered better tone and tone carries farther with less vibrations. The "Silver Tone" bell was then introduced and carried throughout the King line up. Today, King "Silver Sonic" and "Silver Tone" bells are sought over for their great tone and wonderful engravings. The 1920's also saw the introduction of the King French Horn. With it's marvelous tone, this was the first American made French Horn to break down the tradition and prejudice for foreign makes. The King French Horn was an immediate sales success. Below, is a picture of Mr. White (far right) watching his skilled artist-craftsmen assemble his "new" French horn. 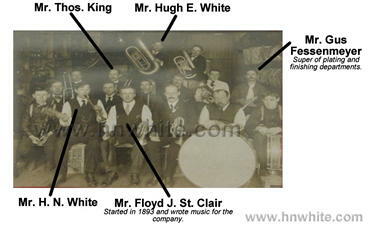 In 1925 Mr. White bought the Cleveland Musical Instrument Company. The Cleveland Musical Instrument Company was formed in February of 1919 and was known for their Cleveland Trumpet. The Company was successful for awhile and at one time employed fifteen people. But as frequently happens with new companies, overhead and expenses were too great for the volume of business they could command. 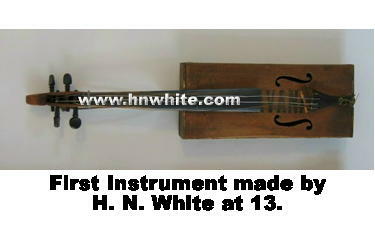 For two years The H. N. White Company made instruments for Cleveland to help fill back orders. Mr. White saw the Cleveland brand as the perfect fit to cover the growing school band market which demanded high quality instruments at a low price. The Cleveland brand, along with American Standard were marketed to marching bands and schools. Both were about 40% less in price than a "King." Mr. H. N. White was by all accounts a workaholic, but he did enjoy card games, fishing, and going to the the Cleveland symphony. On March 17, 1932 Mr. White Married a third time to Edna Richert a then department store gown buyer. The two of them had a love of music and theater. Edna had a child from a previous marriage named Cathryn and Mr. White quickly adopted the precocious eleven year old. (As a side note, Dr. Frank Simon would visit from Cincinnati and stay with Mr. and Mrs. White and during this time he taught Cathryn how to swim). Cathryn played Clarinet (a King Silver bell) and each summer she was sent to band camp at Cedar Point. 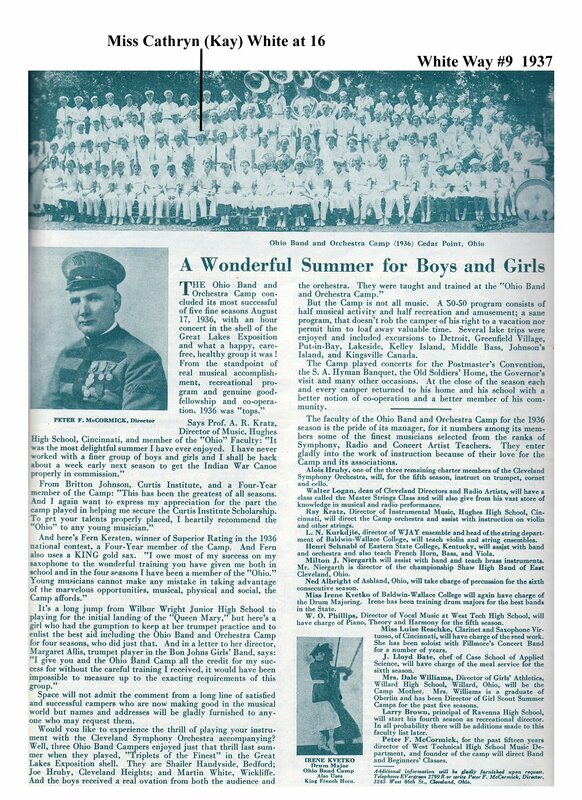 During the 1936 Summer a picture was taken of the entire band (with Cathryn) and H. N. White could not resist the opportunity to put his Daughter in White Way News Number Nine. 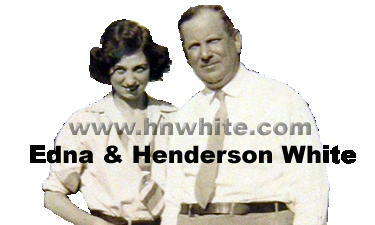 Because Mrs. White was a working girl, Henderson put her in charge of the White Apartments. The White Apartments had fallen on hard times and Mrs. White quickly cleaned them up and turned them around. For many years the two of them would drive to work together, first stopping at the White Apartments to drop off Edna, then Mr. White would continue to the plant. In 1936 F.A. Reynolds left King to start his own short-lived company. Early Reynolds instruments closely resemble King instruments with few if any improvements over the original design. In the late forties Mr. Reynolds sold his company and eventually Reynolds was owned by Norlin. 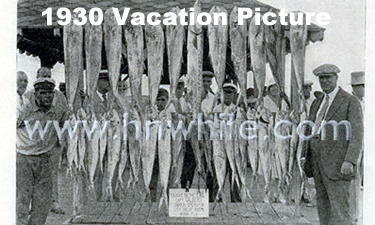 Then in March 26, 1940 at the age of 65 Mr. H. N. White died suddenly. During his remarkable career as a designer and manufacturer of musical instruments, Henderson White redesigned twenty eight instruments. Mr. White made a huge impact on the manufacturing of musical instruments, because of his passion for high quality perfect sounding instruments. Following Mr. White's death, Hugh E. White took over as President of the company while the heirs worked out who was in control. Mrs. Edna White, and her daughter Miss Cathryn White together controlled two-thirds of the stock in The H. N. White Company. Then in the middle of 1941, Mrs. Edna White took control of the company as President just as World War Two started. When Mrs. Edna White took over the company World War Two was just a few months away. 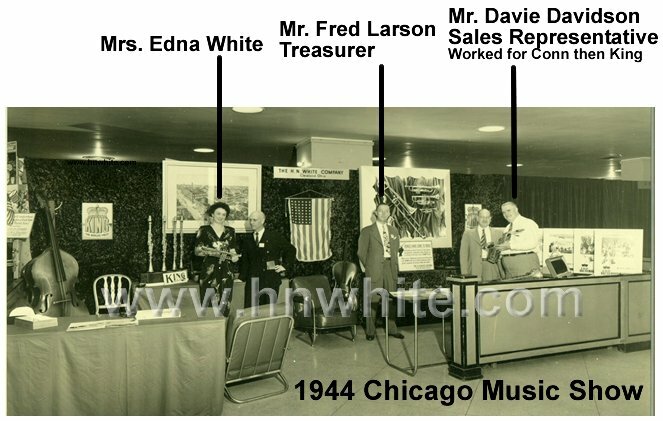 It is important to point out at that Edna White was the first women executive (in the band industry) entering a male dominated world, and many in the industry viewed her as an outsider and predicted the immediate decline of The H. N. White Company. What many of Mrs. White's critics failed to realize was that she had experience in the business world and knew how and when to use her authority. Edna's basic belief was that The H. N. White Company should have superior quality second to none, and she let this belief motivate most of her business decisions. With the start of the war, the company was unable to make many instruments although the service department remained open, and Mrs. White worked hard to get government contracts. The work force was highly skilled and particularly adapt at putting together saxophones with many parts that had to be tuned just right. With that in mind, the government issued the company two large contracts. The first contract was to assemble radar units (tuners and antennae's) for both the Navy and Army. Because of the company's complex work with silver, the second contract was issued to assemble silver plated parts on proximity fuses. Each radar unit had a large number of parts and were difficult to assemble, and King craftsman worked long hours to increase production. Throughout this time Mrs. White (in the center office talking to someone 1945), President of The H. N. White Company, had to reassure the network of King dealers that a woman as President still meant that the company was going to stay focused on good products with great quality when the war was finished. For the most part the dealers were happy with the change and continued their partnership with the King company. As the war drew to a close, work slowly began on a new line of instruments to be introduced when the war over. By the end of the war, The H. N. White Company had completed a $250,000 expansion (two new wings) which increased production by fifty percent. The total war time contracts awarded to the company totaled five million dollars. Way News catalogs and calling on one thousand dealers a year. One of the first changes that Cathryn made was to change the King logo to a crown and add the words "world's Finest". The logo change marked the entry into what some believe as the companies best yeas. A few years later on September 21, 1947 Cathryn gave birth to a baby girl, Ellen Ludwig. With Mrs White at the helm, the company continued to be a profitable enterprise, and in 1946 Mrs. White introduced the first bonus program to the company, each bonus was based on a production quota which was determined by the previous years production. Mrs. White would spend a considerable amount of time at work and entertaining clients at her home on 2820 Broxton Road in Shaker Heights (purchased in 1948). Edna would also take time to be with her Granddaughter (Ellen). 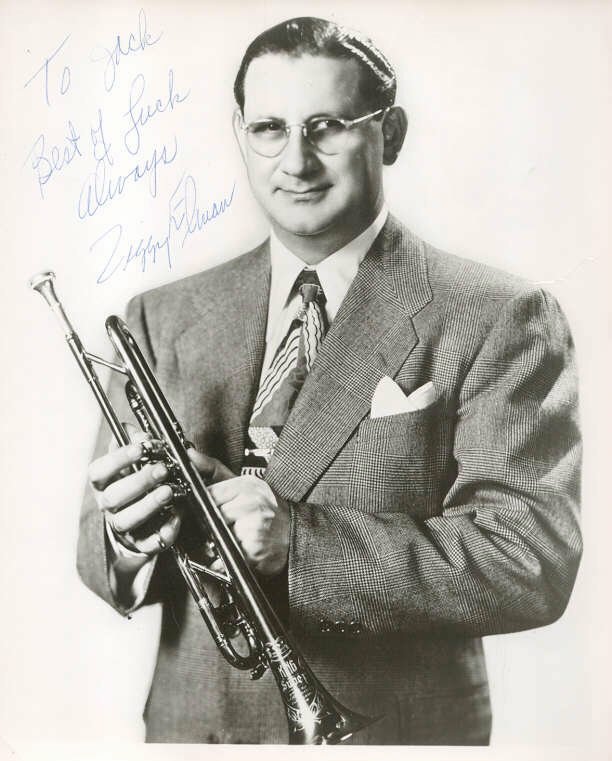 The most popular artist for the H. N. White Company during the 1940's and the early 1950's was Tommy Dorsey. "The Sentimental Gentleman of Swing", was a master at creating warm, sentimental, and superb dancing and listening tempos. Tommy visited Cleveland often, and would spend time on the factory floor working closely with most of the craftsmen. 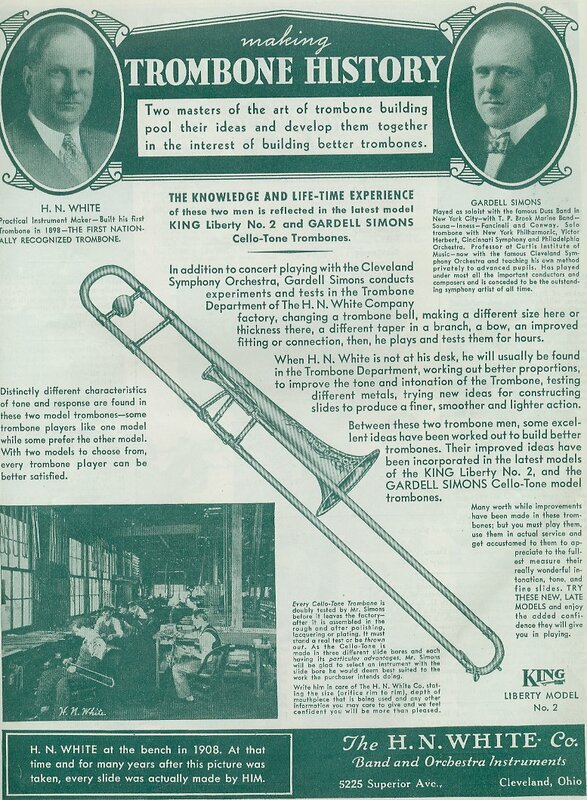 With Mr. Dorsey's input and endorsement, King trombones continued to be the best in the world. Also after the war, Mrs. White restarted production of only the most popular and profitable instruments, which reduced the King line up by some thirty instruments. 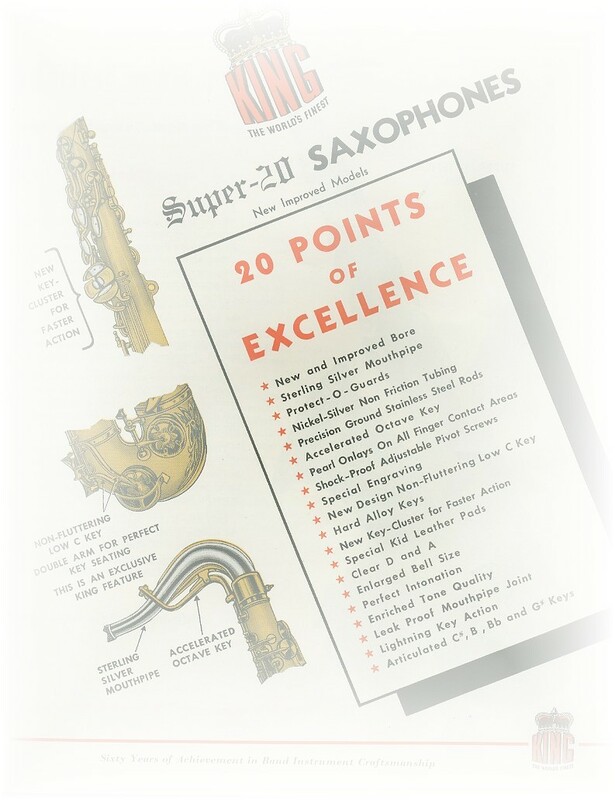 At the same time King introduced a new line of saxophones called the Super 20. The company marketed the Super 20 as a brand new saxophone from the ground up but in reality the Super 20 was a twenty point refinement of the popular Zephyr Special which was in production only a short time before the war broke out. 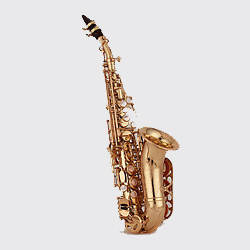 The Super 20 was an immediate sales success and greats like Julian "Cannonball" Adderley, and Charlie "The Bird" Parker played the Super 20. Later in 1946, the new Super 20 trumpets with dual-bore and sterling silver bell were introduced. 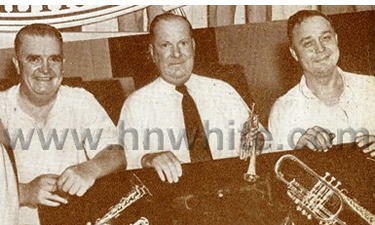 Trumpet greats like Harry James and Ziggy Elman jumped at the opportunity to own one. 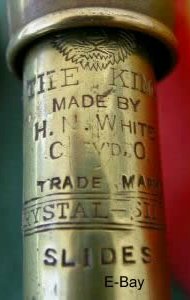 In 1952 with the outbreak of the Korean War The H. N. White Company again found it's self facing a shortage of brass. Mrs White quickly was awarded another government contract to produce radar parts. At the same time the Military the place a very large order for band instruments while another government agency refused to "release" additional brass calling the instruments "...really not necessary". In order to keep up with Military requirements and Instrument production Mrs White increased the average work week from 46 hours to 56 hours. King dealers were buying as many instruments as they could get their hands on fearing what happened in World War II and sales grew by 30 percent. Over the next two years the situation remained the same and the King work force grew from 250 to 300 people. By the end of 1952 Cathryn had divorced Bill Ludwig Jr. (changed her last name back to White, See Aarticle on Bill Ludwig at bottom of page.) and devoted herself to a full time work load and life as a single parent. Cathryn's responsibilities grew at the company to include filling for her mother when she went on vacations or felt ill. During these years Cathryn was working hard to get big name artists to endorse King at every opportunity. In 1952 Cathryn took a cross country trip to call on dealers and work at a music convention in Las Vegas. Cathryn's (Kay) hard work paid off when she convinced Harry James to stop by the plant and try the new Super 20 trumpet. Harry wanted an instrument that had the valves moved forward a few inches to accommodate his long arms and while he was in Cleveland Mrs. White put a team of designers and craftsmen to work on his requirements. By the time that Harry left the plant he had traded in his Selmer trumpet for a H. N. White "Super 20 Silver Sonic" and signed a deal to endorse King trumpets. Harry's first few Super 20's were normal production trumpets, but by the end of 1952 Harry took delivery of his "balanced" model. This change in trumpets and endorsement deal was due in large part because of the friend ship Harry had started with Mrs. H. N. White and Cathryn. For the next thirteen years when Harry was in Cleveland he would stop by the King plant (to pick up a new trumpet) and would spend hours talking with "Mom White" (Edna) and would go out for an early dinner with her before going to his gig. If Harry was ever in town around the Holidays he would have dinner a Edna's house. 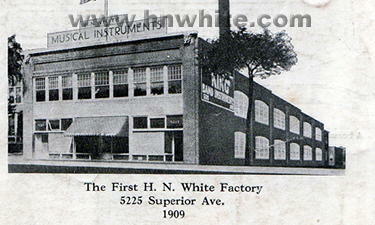 Throughout the 1950's The H. N. White Company strived to make continual improvements to their instrument line up. Quality was built into every instrument and the company continued to stand behind their work with a Guarantee Bond against faulty workmanship and defective materials for the life of the instrument. 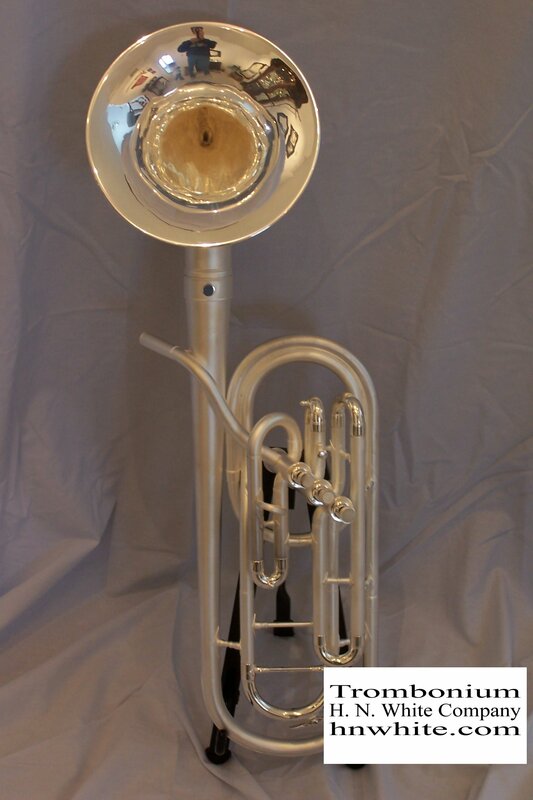 In 1951-53 The new 3-B Trombone was introduced to the market. 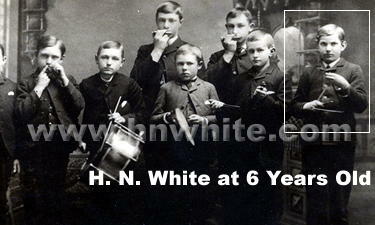 The 3-B continued The H. N. White Companies success and leadership with trombones and sales grew. Also, in 1950 "Silver Tone" or instruments with Sterling Silver bells were renamed "Silversonic". By early 1962, it was decided that the brand name American Standard should be up dated and changed to Tempo. The Tempo line of instruments stayed the same, giving the customer a great instrument at a low price. The Companies three brands were: King, Cleveland, and Tempo. Around the middle of 1964 it became clear the current factory was outdated. King had been manufacturing in the same buildings for more than fifty years and a new location was needed. In 1964 Mrs. Edna White purchased 12.5 acres of land to put a new plant on in Eastlake Ohio. Another big change that happened in September 1964 was that Cathryn updated the King logo to the modern crown that is still used today. Then 1965 with her health fading, Mrs. White, along with her daughter decided to sell the company to Mr. Nate Dolan and his partners. For the next few years Mrs. White would still go to work at the Eastlake facility that she helped build but she never grew to like it as much as the 5225 Superior location. Mrs. Edna White died in 1969 and Mrs. Cathryn (Kay) White passed away in 2005. 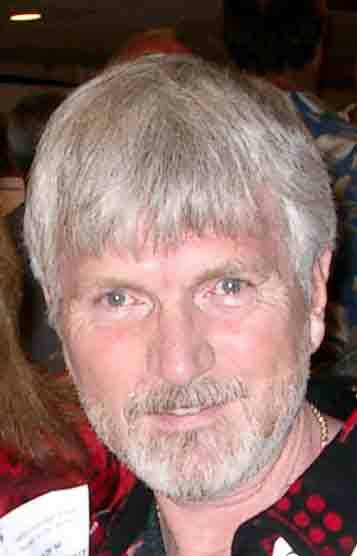 The family is survived by Cathryn's two grandchildren who live in Ohio. Welcome to the worlds most comprehensive H. N. White archives! These archives are intended to display the wide-ranging resources that www.hnwhite.com has collected in order to provide superior and more accurate information then any other website. There are 45 complete catalogs in the collection plus 253 different ads and tons never been seen rare items! 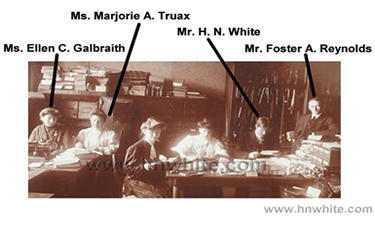 To visit the Catalog archives: The H. N. White Catalog Archives. To visit the ad archives: The H. N. White Promotional Ad Archives. This website is the first and only website devoted to identifying all of the "Craftsmen" who worked for the H. N. White Company. Currently there are 64 identified craftsmen, 59 with pictures, and another twenty with pictures but no names. To meet some of The H. N. White Craftsmen go to: Important People of The H. N. White Company. 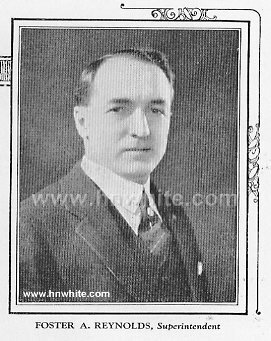 Over the 72 years that the White family owned The H. N. White Company, there were a number of newspaper articles that were written. For the first time www.hnwhite.com has listed some of those articles which are used for reasearch. Exact dates and Sources of articles are “Restricted” due to the relative cost in hiring research personal. The articles have provided a wealth of information and helped develop the history of The H. N. White Company. Also, for the first time www.hnwhite.com has release post WWII price lists. After WWII prices were removed from the catalogs because of the length of time in which a catalog was used went from one year to three to four years. "William F. Ludwig Jr. dies aged 91"